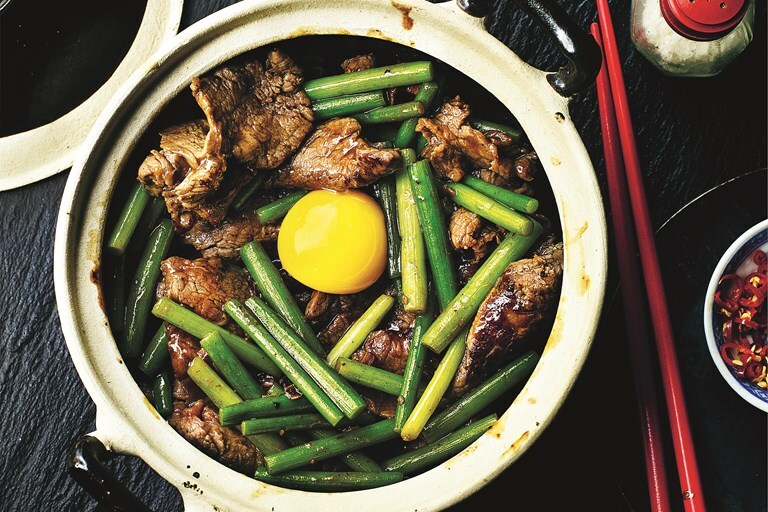 Jeremy Pang's claypot beef fillet recipe is cooked with heady flavours of oyster sauce, soy and ginger for a stunning sharing dish for two, finished with an egg yolk to add even more richness to the beef. This recipe is taken from Hong Kong Diner by Jeremy Pang, published by Quadrille. Photography by Kris Kirkham.